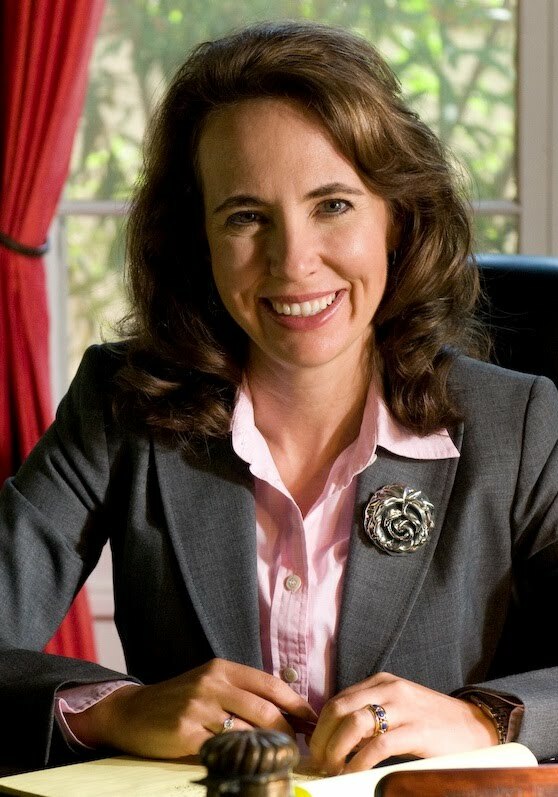 The ironic news of the day is that Gabrielle Giffords won the Arizona Mental Health Association's "Legislator of the Year" award in 2004 when she was in the state Senate. Both there and in Congress, she supported legislation to help the mentally ill. Since being elected to Congress at age 35, she's been an excellent Democrat, voting for the stimulus bill, cap and trade, and health care reform both times. Then she won re-election in a district that went for Bush and McCain in the last three presidential elections. I suppose that's why Sarah Palin's website put crosshairs over her district. Doctors say that her chances of surviving being shot in the head are looking good. It'd be another wonderful achievement by someone who's done a lot of wonderful things. Also, bonus points that Giffords kept relatively long hair when elected. It was much longer when she campaigned as a challenger, but it's still significantly longer than I believe all other Congresswomen. Is there something politically good about having long hair, or is it just pretty? No I think it's the reverse ... women who run who have long hair are perceived as "not serious" or something. So, good on her for winning despite having long hair.